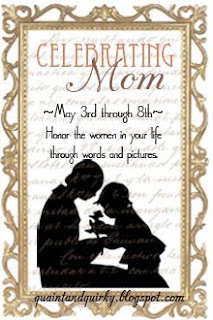 Welcome to Celebrating Mothers week at Quaint and Quirky! All week long, I will be sharing about some of my female relatives. Join in the fun by grabbing the badge, and adding your blog post link to the link list at the bottom of the post. 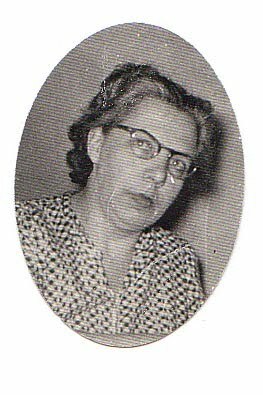 Beatrice was my maternal grandfather's mother. 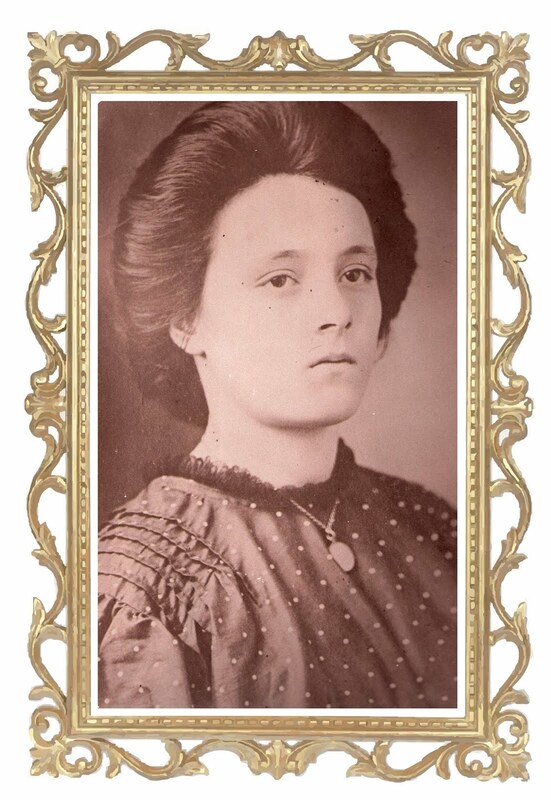 She was definitely the most notorious of all my great-grandmothers. She was born in Canada, but lived in the United States most of her life. Her first husband died in the influenza outbreak of the 19-teens. She was forced to put her children (she had two) in an orphanage. My great-grandfather also lost his wife to the influenza outbreak and put his children (he had four) in an orphanage. They met while visiting their children. Six children is a large family by today's standards, yet they went on to have more children. MANY more children. The count is debated, but there were at least 17 children. There could have been as many as 21. My grandfather is the youngest of all of them. She never learned to read or write in English, but she was a prayerful and devout woman who left a huge legacy. 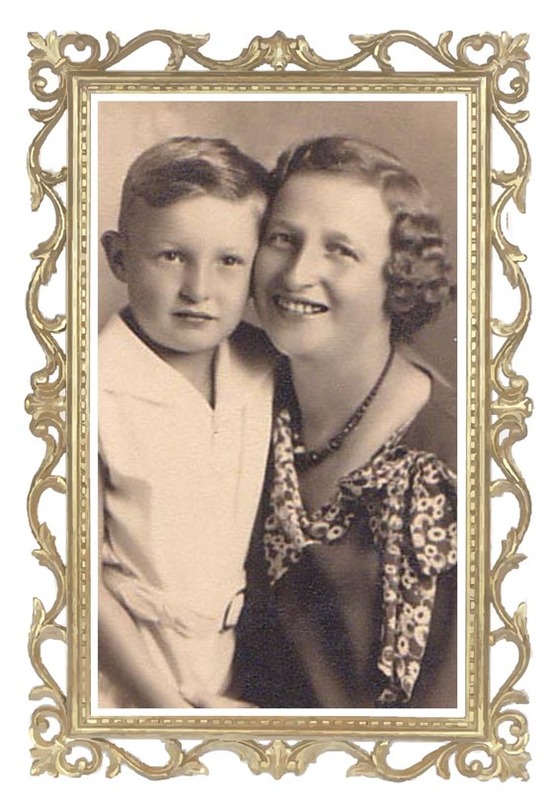 At one point, she had several sons in World War II and she prayed for them each night. 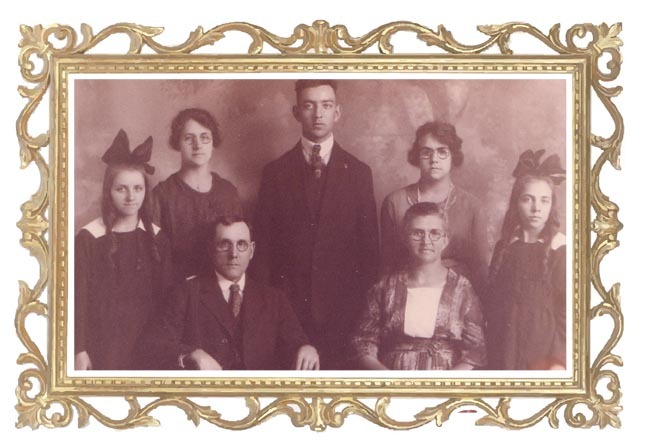 They had many grandchildren, great-grandchildren, and great-great-children! I am thankful to have her sewing machine as my "inheritance." It was well-used and well-loved! Sarah was my paternal grandfather's mother. By contrast to my last great-grandmother, she only had two children. Here she is pictured with my grandfather. People called her Sally instead of Sarah. I called her Great Grammy. She died when I was in my late teens. When my grandparents babysat my brother and me, she would occasionally be there. She was a tough cookie and my dad tells lots of stories about how tough she was. She liked to tell me a story of how she won a watch at school when she was a young child. Rita was my maternal grandmother's mother. I knew her the best, since she died when I was in my twenties and she lived close by. I called her Memere. Memere also had two children: my grandmother and her sister. Memere was a fraternal twin - her sister was named Alice. In this picture, Memere is on the right and Alic is on the left. I guess this is also a picture of my great-GREAT- grandmother as well! Memere was insistent on seeing me graduate from high school, so when rain limited the number of people I could invite to graduation, she went anyway. Memere worked in a factory, loved cats, cards, and baseball. She never learned to drive, so she took the bus or walked everywhere - even well into her 80s. She was spunky and feisty and was never afraid to speak her mind. We have lots of beautiful vintage Christmas ornaments that she handmade. She definitely was proud of her children, grandchildren, and great-grandchildren! I don't know too much about my other great-grandmothers. It's something that I should do more research and questioning on! Time to talk to the grandparents! Stay tuned tomorrow for my next installment! Add your blog link to my mclinky below! Great! I wish I knew as much about my Greats!! You are so blessed. I only knew 3 of my grandparents, nevber mind the great grandparents. My Memere died before my parents were married, my Pepere died when I was only 4, my Nana died when I was 13 and my Grampa when I was 16. My own kids only knew 3 of theirs as well. My father-in-law would be 104(older than my maternal grandparents) if he were alive. This is a great post, Keri! It's a marvelous tribute to our Great Grandmothers, and I'm embarrassed to say I even learned a thing or two. In that picture with Memere as a child, I see a striking resemblance to mom in her childhood pictures! It's so wild to think that that picture was taken about 80 years ago.